While his biggest chart hits like 1957's 'Honeycomb,' 'Kisses Sweeter than Wine' and 'Oh-Oh, I'm Falling in Love Again' were definitely built for pop success, Rodgers was essentially a folk & roll artist at heart. The early publicity hype called him 'a cross between Elvis Presley and Burl Ives,' though his style was more akin to Buddy Holly's than to Elvis'. This special LP release includes his celebrated self-titled debut album, Jimmie Rodgers, which was originally issued by Roulette Records in 1957 and has been long unavailable on vinyl. Here you will find folk 8, roll favorites such as the aforementioned 'Honeycomb' the song went all the way to number one on the Billboard pop charts), 'Kisses Sweeter than Wine,' 'Water Boy,' and 'Hey, Little Baby' In addition to the original album, this WaxTime collector's LP also contains 2 bonus tracks from the same period, 'Bo Diddley,' and the beautiful 'Find the Girl'. 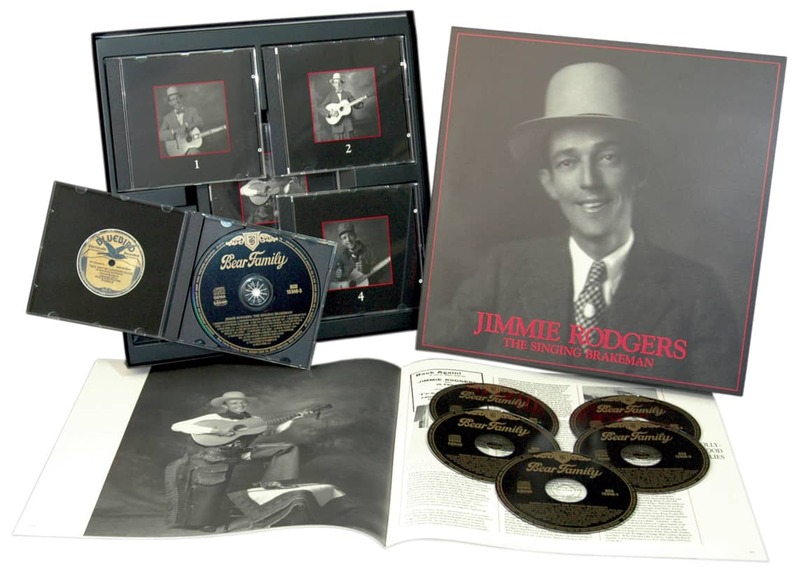 The importance of Jimmie Rodgers (1897-1933) to the history of country music is a subject that has been analyzed extensively in the more than 70 years since his death in 1933. The true mark of an enduring musical form is its ability to change and evolve, and, for better or worse, country music still survives, although in a much different form than Rodgers or anyone else from his era could have imagined. It's difficult to discern, however, the influence of Rodgers in a performance by any of today's stars, such as Big and Rich, Toby Keith, or Carrie Underwood, but, nevertheless, it is there just the same. Every so often, one of these artists will sing a Rodgers song, usually one of Jimmie's most popular, such as Waiting For A Train or T For Texas, and the flickering flame shines a little bit brighter. Rodgers' fire will never really go out because country music grew from his example, not only from the catalog of songs he sang, but from his personality, his attitudes, and his devotion to aspects of life that are still embraced by Americans as well as lovers of country music from around the world. Rodgers sang of many things. His songs dealt with devotion to family, hell-raising, work, illness, storytelling, tragedy, and love of family, much of this coming from his own personal experiences. All of these topics are still used by today's country performers. Although the songs might not be the same, and the instrumentation has morphed into a form that would have been unrecognizable to country music's early fans, the influence is still there, and it can all be traced back to Rodgers. 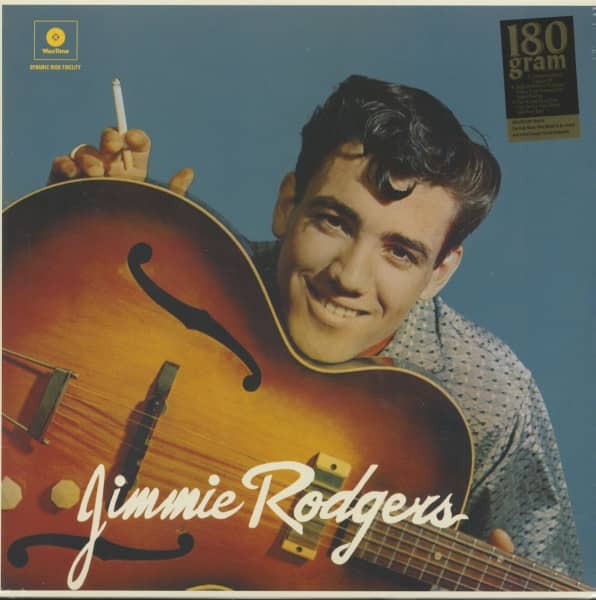 Jimmie Rodgers was country music's first star. Before he came along, hillbilly music, as it was then known, was seldom performed professionally. Its purveyors were common folk, musically untrained, with a lifestyle that centered on other professions. There were a few exceptions to this. Uncle Dave Macon had been in vaudeville for years and was a seasoned entertainer by the time he began recording in 1924. Vernon Dalhart had become a star through his recording of The Prisoner's Song, also in 1924, but Dalhart's fame was based on his interpretation of what a folk performer should sound like. His personality, like that of every other popular vocalist of his era, remained hidden and undefined. Other than these few artists, early hillbilly performers were primarily employed in some other line of work. Rodgers, himself, was a brakeman, before tuberculosis forced him to find another, less strenuous way to earn a living. The only other thing he knew how to do was sing, and so, performing became his vocation. Even though Rodgers was far from the first person to record what would become country music, the genre was really born with his first session in August 1927. Before Rodgers, it didn't really matter who sang a folk song because the song was what mattered, not the singer. Rodgers' catalog of songs drew from a variety of sources: traditional folk songs, Tin Pan Alley compositions, songs from vaudeville, blues, jazz, risqué novelty numbers, and Rodgers' own compositions. Rodgers infused each of these song with his own personality so effectively, that his fans thought he had written everything he sang, and that his life was full of pistol packin' papas, mean mamas, bounders, and rounders. In truth, only a handful of his songs had to do directly with his own life: most notably, the train songs (Waiting For A Train) and songs about his illness (T.B. Blues). 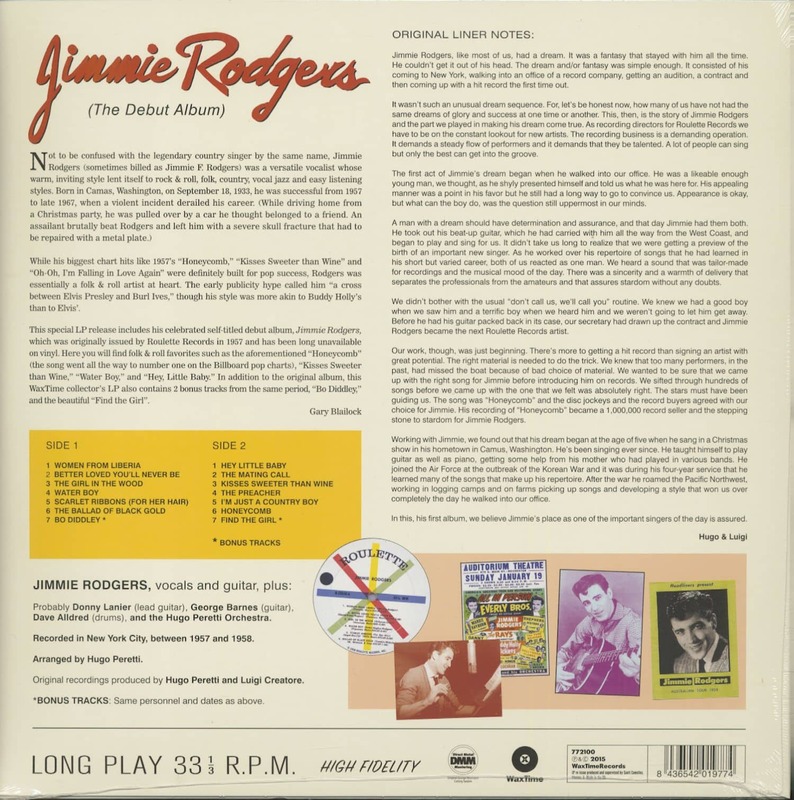 But Jimmie Rodgers changed country music from a song-oriented genre to one that focused on the personality of the performer. The Carter Family, who made their recording debut at the same session as Rodgers, the famous Victor sessions in Bristol, Virginia, were more influential for the songs they sang than from their own personalities. Although their respective influence has been substantial in their own field, it was Rodgers who became a star. Customer evaluation for "Jimmie Rogers (The Debut Album) (LP, 180g Vinyl)"